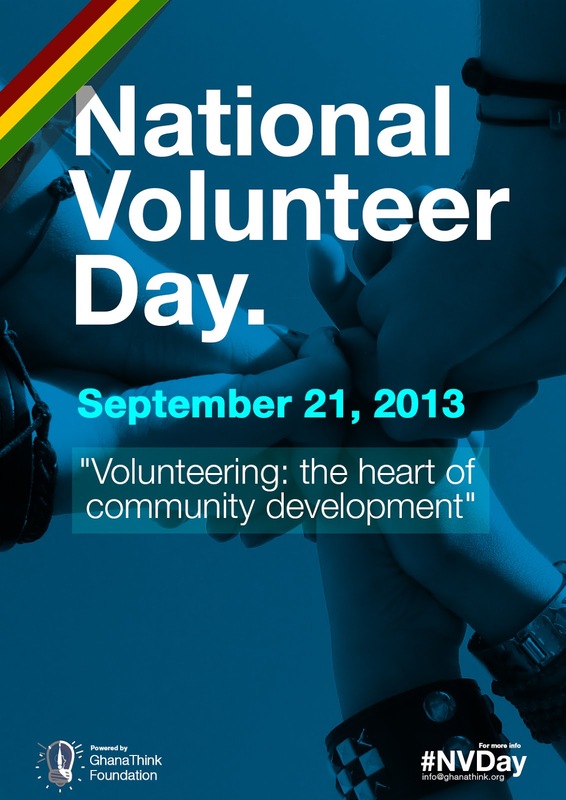 The GhanaThink Foundation is instituting 21st September as National Volunteer Day. For those who do not know, 21st September is Osagyefo Dr. Kwame Nkrumah's birthday and was instituted as a holiday a few years ago known as ''Founder's Day'' in Ghana. Is there a better way to celebrate the birthday of such a great African statesman than giving back to our communities? "The initiative is to get as many people as possible in Ghana to volunteer their time or do community service on the Founder’s Day Holiday. While volunteerism is not very popular and part of our society’s fabric, many individuals and organizations volunteer occasionally. 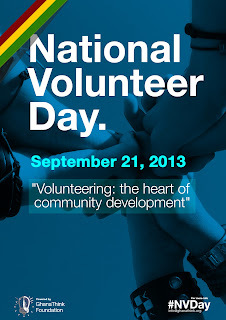 National Volunteer Day is to increase these numbers and unify efforts in volunteerism in Ghana. For more information on how to get involved with any activity, contact GhanaThink via email info@ghanathink.org.